Sewing is a form of art which has been with us since the ancient times. To continue this tradition, Amazon is offering Singer Tradition FM2250 Sewing Machine worth ₹12,500 at just ₹7,299. Tip – It’s a lightning deal, So Join waitlist if deal is 100% claimed, an alert will appear on your upper right screen notifying when the item becomes available with the ‘Add to Cart’ button activated. 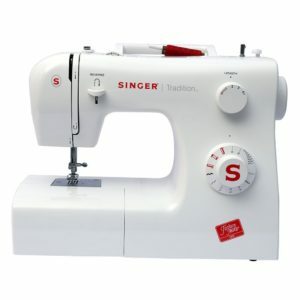 How to buy the Singer Tradition Sewing Machine? 2. Click ‘Add to Cart’ under the Lightning Deal box. 5. Select the Shipping Address and Mode. 6. Then select the appropriate Payment Mode.